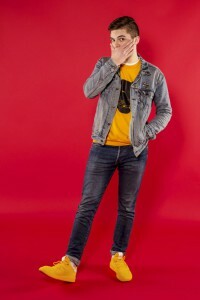 When in 2014 a folk-tinged singer/songwriter from Federal Way, Washington with the distinctly uncool name if Isaac Peabody emerged onto the scene with an EP 'Steps' nobody could have guessed - Isaac included - where the next four years would take him. But his metamorphosis this year as Peabod as a RAPPER is surprising. And what is absolutely staggering is that his debut album 'Tasty Snacks' and his much-watched vids (his first single "Shoot From The Hip" is garnering thousands of views every day) are demonstrating that he is one of the cleverest and funniest hip-hop exponents to emerge for years. Cross Rhythms spoke to Peabod and began by asking him how the transition took place. "I have been a fan of hip-hop for a long time, even though I've been writing folk music mostly. I think I had finished up 'Indigo' (Isaac Peabody's 2016 EP) and then I was writing songs just for me. I thought that it would be really fun to write a hip-hop project that was purely just for fun, not, like, to meet anyone's expectation or prove that I could do something, but to just have as much fun as I could. So I started with some reflection and that got good feedback so I decided to do a whole mix tape. The more I wrote the more it felt natural to me because I think I had put off writing hip-hop for a while because who would take me seriously, look at me. But then I was like, well maybe being taken seriously isn't the point, maybe having fun and being happy in hip-hop could be a good route and so trying that out felt more natural than I expected and ended up being really fun." Sorry I wasn't listening, what was the question again? Where all my 90's kids at? I have to call it don't give me the mic cuz I'll have to drop it." I'll keep my head up in the clouds until my neck gets sore." 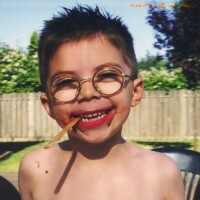 When Centricity released the first Peabod single it came with a photo not of a scowling young man standing in a graffiti-covered street but of Peabod aged five with a lollipop stick in his mouth. Peabod explained the unusual publicity shot, "My dad was in graphics design for a long time and he had put together an album cover that I was using for promotion before I met Centricity. Then we started to work together and they wanted to go in a different direction. My mom had just randomly sent me some old picture and I thought 'oh my goodness this would be perfect' so I sent it off to the label and they loved it and it kind of all just fell into place." Peabod grew up in a Christian home. He remembered, "I was going to church with my parents, reading Bible stories. I think that it was just in steps of becoming real for me. I guess I've only gone through phases of feeling kind of stagnant with my relationships with my Lord or bitter, but always at my core I've always known this is what I believe and this is what is true. I don't think I ever went through a big rebellious phase, I'm kind of a rule follower, so it isn't your classic rapper story. I think that through growing up and going to college and graduating college, starting life in the real world, I think there has been a bunch of phases of me realising God's faithfulness and the Gospel becoming more real for me." With his album out and selling, demand for this most unlikely of emcees is growing. He said, "Things are starting to ramp up a little bit. I actually fly out to Wisconsin this week for a festival called Lifefest, I got a slot on Saturday. I got a Christian college I'm flying out to in the fall, I'm scheduling a couple little local shows for myself. The hope that some more one-off shows will pop up and continue through the fall and the winter and in spring I can hop on a tour. My goal is to be able to have a DJ and drummer with me, I've played with both but not at the same time. It's usually me and a DJ and I've done just me and a drummer once. This festival in Wisconsin will be just me but I will be playing ukulele and bass on a couple of songs." The thought of a ukulele-playing rapper is for me a very appealing one and we Brits can but hope it won't be too long before he hits the UK.